Edging - Commercial Flooring & Mats Vancouver | Source Floor & Specialties Inc.
We offer a wide selection of modular and individual anti fatigue mats. The finishing touch for any custom mat or area rug is the edging! We supply and install our vinyl ramped edging in a variety of designs to suit the matting type and the application. 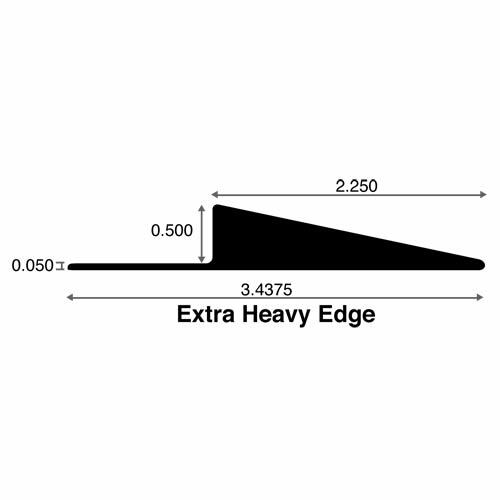 Whether you need to protect against edge ravel, or have a lot of heavy-duty wheeled traffic, we can help you select the right edging to make your mat perform at peak effectiveness. 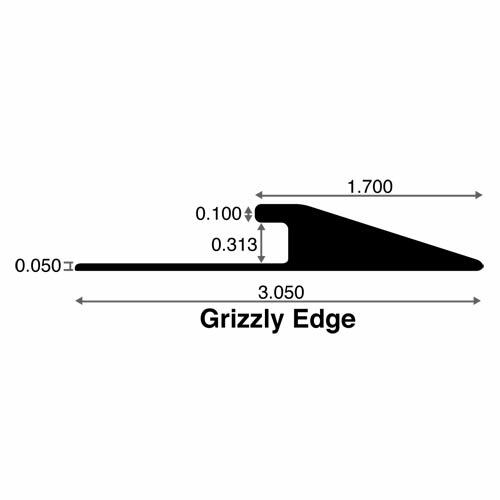 Our proprietary Grizzly Edge has a custom design with a recessed pocket behind the ramp. The overhanging lip above the recessed pocket helps to protect our tufted products from premature edge ravel. It’s perfect for our Grizzly FX and our custom area rugs! Our Heavy Edge is our standard commercial-duty edging for most needlepunch knob products like our Kermode, as well as our Duromat PVC noodle mat. It’s an excellent choice for regular commercial traffic. 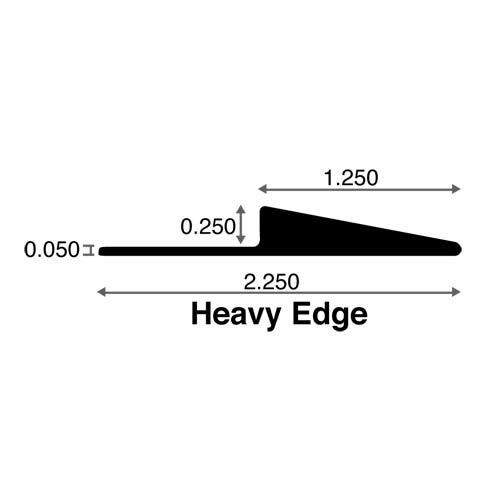 Our Cart Edge has the same rise as Heavy Edge, but a longer run. This creates a gentler slope to the ramped edge, making it ideal for heavy amounts of wheeled traffic like walkers, strollers, and shopping carts. Cart Edge is great for Grizzly FX, Kermode, and our custom area rugs in areas with a lot of wheeled traffic. Our Extra Heavy Edge is a special-purpose style of edging for extra-thick matting, like 3M Nomad 3270. Premium spring-coiled antifatigue cushion matting. Premium vinyl matting for extreme traffic loads. Flooring for pool areas, weight rooms, and more. Greaseproof nitrile rubber bubble mats. Custom rugs for your public spaces. Epoxy coatings for specialty floor needs. Pedisystems, the gold standard for strength and long-lasting durability. Economical and durable choice for basic flooring. Custom-cut, unique soft seating rugs.